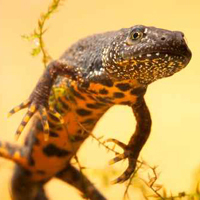 The Trust has been established to receive monies resulting from development having the potential to impact on Special Areas of Conservation (SAC) and European Protected Species (EPS) where there is no suitable alternative and to distribute the monies to projects which will benefit the SAC and the species. The name, “Building Wildlife” was originally proposed by a local authority biodiversity champion to emphasise the interrelationship between development and nature conservation Building Wildlife is a Registered Company ‘Building Wildlife Trust’. It is operationally trading as ‘Building Wildlife’ or BW. BW defines its remit fairly broadly; allowing it scope to support wildlife conservation and promote good practice in connection with development and other human activities/ land uses. Amalgamation of resources to enable land acquisition and strategic conservation action. Other areas may be considered subject to funding and clarification of conservation objectives.